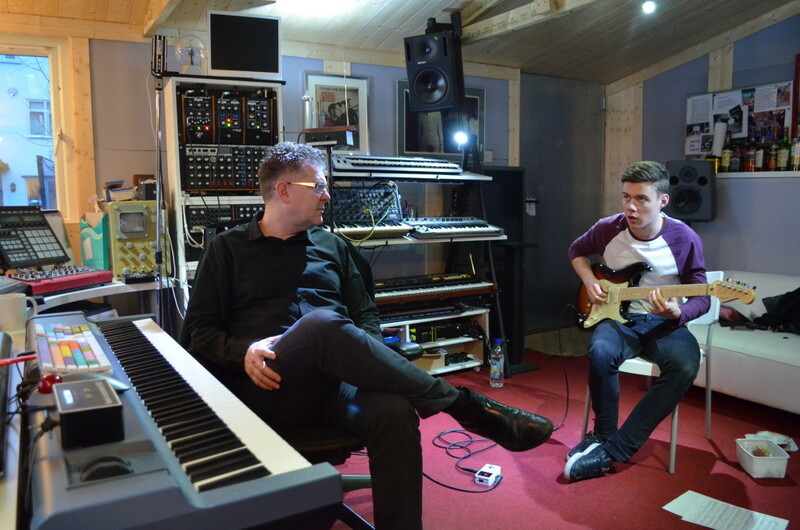 We have been extremely busy over the past few weeks in the studio, working on the Skin Traffik soundtrack album. Skin Traffik starring Mickey Rourke, Michael Madsen, Darryl Hannah and many more, is expected for release in early 2015. The Skin Traffik soundtrack album will contain all the original music written by composer Sefi Carmel and will be available in both stereo and 5.1 surround sound formats. We’ve been recording extra guitars with guitarist John Hockings (@JonHockings) adding some really great lines to make the tracks in the film really shine. Coming in soon we have famed violinist Maestro Roberto Mannes to record some string parts throughout the film something we’re really excited for. Keep watching this space for more updates! !